A Guide to ARB’s Heavy Duty Diesel Vehicle Regulations provides basic information and resources to help take the guesswork out of California’s clean truck and bus requirements. The Supplemental Environmental Project Report is a CCDET publication that highlights our objectives, activities, outcomes, and how Supplemental Environmental Project (SEP) funding supports our efforts. The Preventive Maintenance Handbook is a CCDET publication that describes preventive maintenance procedures to help keep your truck running smoothly and in compliance with laws and regulations. Click below to view links to the Preventive Maintenance Videos. 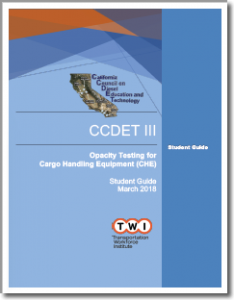 This document contains the Course Outline, Handouts, and Student Slides for the CCDET III course. Following a detailed field study, the ARB implemented the Heavy-Duty Vehicle Inspection Program (HDVIP) in 1991. This web page provides details regarding the background and origin of the HDVIP. 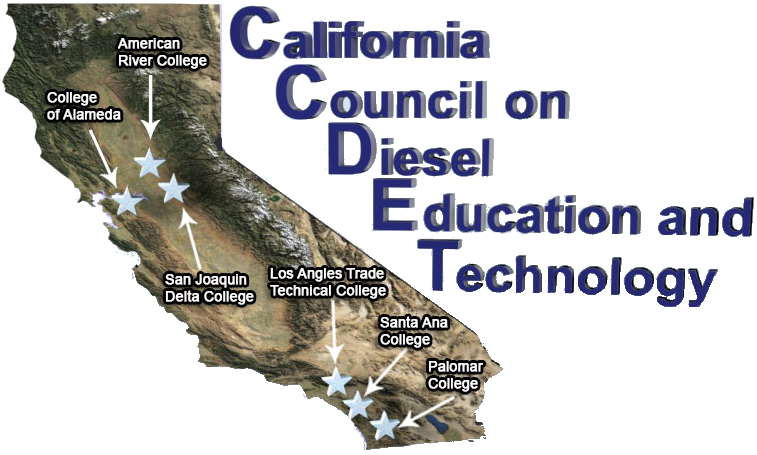 The Enforcement of California’s Periodic Smoke Inspection Program (PSIP) advisory 351 contains important updates for owners of California-based fleets and shows the necessity of CCDET course offerings. This page provides a full listing of ARB Advisory Documents by number, date, and name, along with links to each document. This page last reviewed Jun 14, 2018 @ 10:21 am.